EAGLE FARM is back again this week. The track is rated “GOOD” (Friday morning) and the rail will be out 4 metres for the entire course this weekend. There is a hot weather forecast for the coming days in South East Queensland. The track will be lightning fast is my tip! The last few meetings horses that have raced handy have seemed to have a distinct advantage at the new track. With that in mind I have considered that with my selections this weekend. By the way, I am on holidays – Dallas now – heading to Orlando soon. I just love NASA! The first race is open. I have been on the Les Kelly trained Elixir (9) in his last two starts. He is back in grade this weekend and Jeff Lloyd jumps aboard. For those reasons I am staying solid! Mullaghmore (10), from the Steven O’Dea stables, is only a lightly raced three-year-old second up here. I think that he had some improvement left in him after his first up run and will strip fitter this weekend. Tony Gollan has Get Stuck In (2) engaged here and has added blinkers to this runner. Watch out for an improved effort. The two-year old’s step out here over 1000 metres. Some are facing the starter for the first time. I like the unraced Gollan Racing runner Garibaldi (3) who was impressive winning a trial earlier this week. Drawn nicely with Jim Byrne in the saddle he should take a sit in behind the likely leader Arnwood (2). Guantantes (1) from the Robert Heathcote stables won well on debut when well supported and returns to racing after a 15-week spell. I am taking this runner on trust as I think the stable has a high opinion of this chestnut who was flat in his second career start. The fact that he hasn’t had an official barrier trial as well probably suggests that he has come back well and will be ready to race. 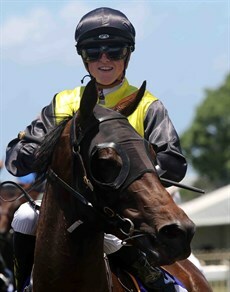 David Vandyke has a debutant, who won a recent trial at the Sunshine Coast – Iamican (9). There has been some support for this runner since markets opened. Sometimes where there is smoke there is fire! The other runner that has grabbed my attention is the Rex Lipp trained Gem Of Scotland (7) who won when racing handy at Ipswich. Jimmy Orman has the ride and will probably just sit in behind the speed drawn inside of him before making a dash at them near the post. A tough race with a No Metro Wins contest over 1000 metres. I tipped Meet Mr Taylor (5) the other week when he drew wide here and was scratched and then was superb on the Wednesday at Doomben destroying his opposition. I can see no reason why he will not go on with his wonderful form for the Kelly Schweida stables this weekend. Mark Du Plessis has ridden the gelding three times for three wins and remains aboard for this assignment. The logical danger is the Chris Anderson trained Connoisseur (2) who won here a fortnight ago under a great ride from Jag Guthmann-Chester. He will race handy as well and should be in the finish. Boom Chicka Boom (6) is the likely leader of the race from barrier 1. He meets Connoisseur (2) very well at the weights this start for a narrow defeat last start. If he is left alone in front and Michael Cahill can get some cheap sectionals I would not be surprised if he holds them all at bay at the end of the race. Capital Connection (7) always performs well first up – could be one for your exotics. Only a small field to face the starter here for the Open sprint on the program. Not a race I am keen on. Malvern Estate (4) is third up here for trainer Desleigh Forster. He has an impressive record third up with 2 wins and 1 second from three starts. He looks the one to beat after his run at the recent Magic Millions Carnival. Impregnable (5) from the Toby Edmonds team probably gets the race run to suit him this weekend and could be the surprise packet. Chris Munce trains Ours To Keep (6) who played up last start at the Gold Coast Magic Millions day behind the barriers and then was forced to race wide. I would strongly suggest your overlook the run and go on the win here late December. With the small field he gets into the race well and should be given all the favours by jockey Ronnie Stewart. An open field for this Class 3 race. Showus Ya Diamonds (7) ran a bottler of a race first up here a fortnight ago. I cannot get the run out of my mind and I think she will be very hard to beat here. Stepping up to 1200 metres as well should see this Barry Lockwood trained runner first past the post with Brad Stewart in the saddle. Skate To Paris (12) is another runner from the Munce Racing team who drops back to 1200 metres this weekend after running 1300 metres at the Gold Coast on Magic Millions day. She has drawn well and will be thereabouts when the judge calls a halt to the race – do not overlook this runner. Sornja (17) resumed at Doomben a fortnight ago in a midweek race and was sent out favourite with a massive weight to carry. I think she is better placed here this weekend and always runs a race when she gets down in the weights. I see that trainer Steven O’Dea has gone with apprentice Jag Guthmann-Chester this weekend. She gets in well here. Rob Heathcote has Meikas (15) resuming after a 28-week spell – a recent barrier trial under her belt may see her fill a place at odds (she is a dual acceptor). Desert Man (2) won here 5 weeks ago meeting a similar field. He is drawn well again this weekend and could show up again. A race for the three-year old’s over 1200 metres. Magic Fox (1) was backed off the map last start when he won here with Corey Bayliss aboard. He goes up sharply in the weights this weekend, however, the way he won last start would suggest that he will be hard to hold out again. Brian Smith has Belle Roc (7) resuming from a spell. This runner has a tonne of ability. 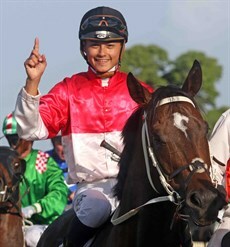 She has had two recent barrier trials and could sprint well fresh with Scott Galloway aboard. He has been on her in all four career starts (2 wins – 2 seconds). Winter Passage (3) was beaten by Magic Fox (1) last start and meets that runner better at the weights this weekend. An 1820 metre race here that looks tough on paper – bet carefully! Emphasis (3) beat Bergerac (1) a fortnight ago here over a mile. On that day Jeff Lloyd took the sit in behind Bergerac (1) and beat him with a superb tactical ride. Bergerac (1) is facing the starter for the third consecutive week here. I think you can just put a line through his run last weekend at the Sunshine Coast over 1400 metres. I think that jockey Michael Murphy (who has been riding in great form) should be able to bounce this runner out from gate 4 and set up the race in front again. Of course, the risk is that Jeff Lloyd does what he did a fortnight ago and stealth’s him in the run and makes a dive at him close to the post. I am hoping the youngster Murphy can outsmart the veteran Jeff Lloyd this weekend! If you are looking for a knock out chance at odds – take a look at High Degree (10) – currently at $41. Brains (3) has returned to racing in great form. 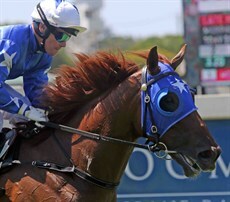 He has won both starts since resuming from a spell and will appreciate the mile this weekend. He should be hard to knock off here. Looks Like Elvis (6) ran a gallant second to Brains (3) last start and could be the testing material again this weekend. I think he is better over a mile and he loves a dry track. Bluebrook (4) was caught wide and got tightened in the straight last start here when Brains (3) beat him. I don’t think he would have beaten the winner last start but probably deserved to finish a lot closer than he did – probably should have ran second. Apprentice Baylee Nothdurft stays in the saddle and he meets Brains (3) better at the weights this weekend. With an ounce of luck, he may just turn the tables on him. Fighting Teo (10) is second up here over a more suitable distance. Trainer Kevin Kemp and jockey Dale Smith combined two times last preparation to win races with this runner. I am just wondering whether Dale will push forward and be handy. This may see him feature in the finish. Astoria (1) gets back to a more suitable distance this weekend. I just need to see him win before I can tip him. The leave the hardest race until the last today. Many chances here – too many! King Lear (8) was super first up here over 1200 metres. He should strip better for that run and should be hard to beat for a great Gosford lad and NSW trainer Tony Newing. Matt McGuren, who has saddle and will travel, stays aboard the gelding this weekend. He has a super record on him with 7 rides – 4 wins and 1 second. His odds are a little short this weekend for this field but let’s hope he can get the job done. Mishani Electra (9) defeated King Lear (8) last start. 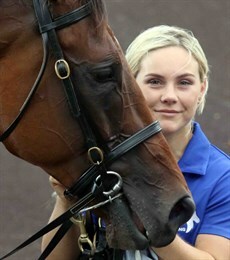 King Lear (8) meets her much better at the weights here this weekend for that defeat. Jeff Lloyd has been booked by Ben Currie to ride her. He will have to get across quickly from barrier 14 and set up the race from in front like Baylee Nothdurft did last start. Matthew Dunn has La Scopa (12) in the race coming off a solid win in Sydney a month ago. She will be hard to beat again this weekend (I note she is a dual acceptor). Jim Byrne has the chance to post a winner with this runner. Cellargirl (6) missed the start hopelessly last start on Magic Millions day – totally forget that run and go on the effort prior to that when she raced extremely well here when she was gallant in a defeat by Ours To Keep (Race 4 – number 6). FLEMO won our tipping competition last weekend – a sensational tipping effort – well done mate – it is your home track so I expect nothing less! Remember to check out our last-minute tips and preview on Facebook on Saturday morning after the track and final scratchings have been sorted out! Watch out. 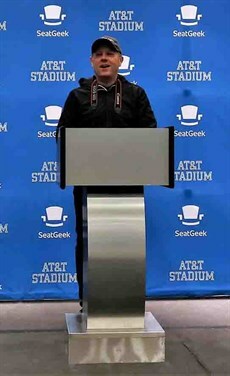 Winno at the press conference podium at the AT&T Stadium, the home of the Dallas Cowboys.